Elec Cert Ltd can provide a full Inspection and servicing program for your fire alarm system. All fire systems must be regularly tested and maintenance is essential because it will prolong the life of a system and discover any faults that may occur. A system that is not maintained cannot be guaranteed to protect life and property. The Fire Safety Regulatory Reform Order which came into effect on October 1st 2006 has consolidated requirements of existing fire regulations into one piece of legislation requiring a ‘responsible person or persons’ to implement a fire risk assessment of the premises. Employers are responsible for their own fire safety risk assessment and have to judge what fire precautions are necessary to protect their employees. There are no longer specific requirements set out in a Fire Certificate to rely on. 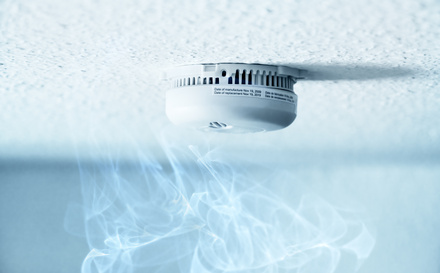 The only reliable and measurable means of ensuring that your existing fire detection and warning system remains compliant and fully functional is to instigate a plan of regular routine maintenance and testing carried out by a ‘competent’ person supplemented by weekly user tests. BS5839-1: 2004, recommends weekly user tests consisting of the operation of one manual call point ensuring that the alarm panel processes the fire signal and operates the alarm sounders, with a record of each test in the company’s log book. This should be combined, for Grade A systems, with periodic inspection and testing of the system by a ‘competent’ person based on a risk assessment. The recommended interval between these inspections should not exceed six months.